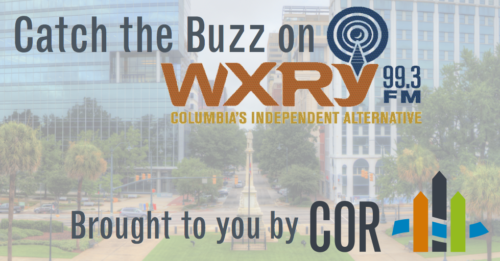 We are proud to partner with WXRY – Columbia’s Independent Alternative Radio to bring you The Buzz. Tune into 99.3 daily for reminders and updates about events coming up near you! 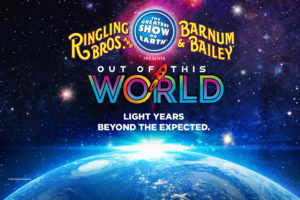 Ringling Bros. and Barnum & Bailey presents Out of This World at the Colonial Life Arena starting Thursday, January 26th through January 29th. Audiences will be riveted by an interactive, action-packed storyline. Head to the Columbia Museum of Art for Psychedelic Design: Rock Posters From the Mel Byars Collection. More information here. Looking for an island break in the middle of winter? For two weeks, the Cajun creole specialty cocktail bar, Bourbon, will transform itself into a tiki bar– Bourbon Oasis from January 22nd to February 5th. In the spirit of Old Hollywood, the Columbia Museum of Art presents an exhibition featuring the movie star portraiture of photographer John Engstead in all its vintage glitz and glamour. Click here more information. The McKissick Museum starts their Holocaust Remembered Series. It recalls the harrowing history of World War II. More information here. Come by main street every Saturday for the season’s best produce, meat, dairy, flowers and baked items from farmers, bakers, gardeners and artisans in Columbia, SC at the Soda City Market. Time for some great post-holiday shopping. The Winter Sidewalk Sale is here. 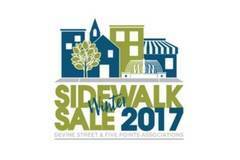 Join the merchants of Devine Street and Five Points for their first big sale of the year this weekend from 9 to 5. The Columbia City Ballet presents “Swan Lake” this weekend at the Koger Center for the Arts. Click here for more information. City Roots presents the 4th Annual Oyster and Pig Roast. Don’t miss the collaboration of Chefs and friends from City Roots and LowCo Barbecue & Catering. Head to the Richland Library for the annual Black History Month Fair 2017 . It’s a day designated to recognizing the richness of African-American culture through music, storytelling, dance and more. 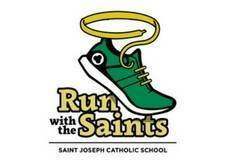 Run with the Saints – a 5K race and Fun Run – will use a certified course that winds its way on Devine Street through the beautiful, downtown neighborhood of Shandon. Don’t miss the Yonder Mountain String Band at the Music Farm. Doors open at 7 and the show starts at 8. Join the Columbia World Affairs Council from 12 to 2 at the Palmetto Club for the first Distinguished Speaker Series of the year. The speaker is Nagesh Singh, Consul General of India in Atlanta, a distinguished scholar. Chamber Music on Main is a critically acclaimed chamber concert series featuring world-renowned artistic director Edward Arron. Catch it at the Columbia Museum of Art. The concert starts at 7 with a happy hour at 6. Grab a complimentary Guinness at 6 at the local Five Points bar, Delaney’s, for the release of the musical line-up for the 35th Annual St. Pat’s in Five Points festival! Click here for more information. 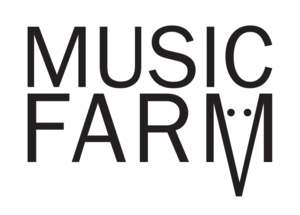 Head to the music farm to catch country star Corey Smith. The doors open at 8 and the show starts at 9. Click here for tickets. Don’t miss First Thursday! From the 1200 block with The Whig all the way to the 1700 block with The Gallery at City Hall, you’ll find a thriving mix of art, music, food and drinks. Head to the Hampton Room at Michael’s Cafe & Catering for Jazz After 5. Live music with Jmichael Peeples starts at 6. Don’t miss the grammy-nominated pianist and vocalist Judy Carmichael at Harbison Theatre at Midlands Technical College starting at 7:30. The Koger Center for the Arts presents the SC Philharmonic “Up Close and Personal.” The show starts at 7:30. The Nickelodeon Theater presents Freedom Riders as a part of their Black Stories Series. It captures moments that serve as milestones for the Civil Rights Movement. The show starts at 6:30. Don’t miss Tabitha Epperson’s: Home at Harbison Theater at Midlands Technical College at 7:30. She uses her research to answer the question what makes a house a home.